Heat olive oil in a frying pan over med-high heat. 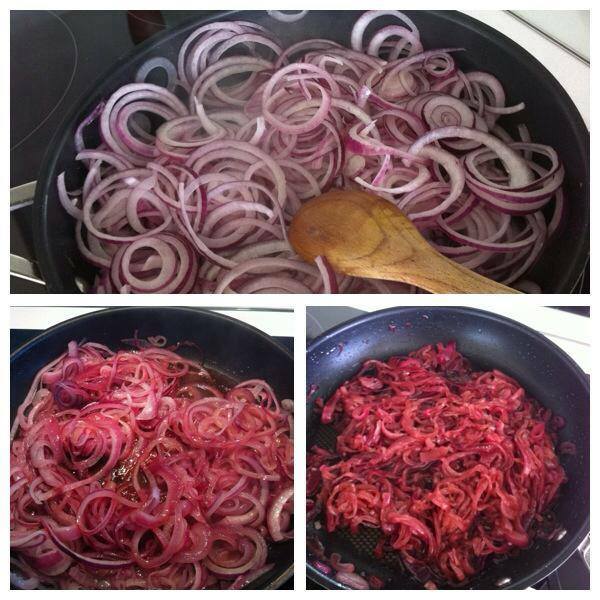 Finely slice 4 red onions (you could also use brown onions) and add to pan and cook, stirring for 10 minutes or until soft. Add half a cup of caster sugar and half a cup of red wine vinegar and quarter cup water. Stir to combine. Reduce heat and let simmer for 20 minutes or until caramelised and liquid reduced. Serve on top of a steak, on hamburgers or — my favourite — with brie cheese and crackers.